I do love this quilt! 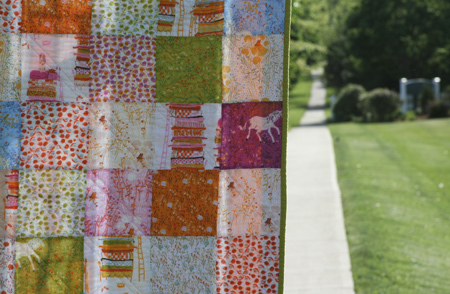 I have to say it again… I love this quilt! I know I say it about almost all of them, but there’s something about the softness of this one that instantly makes it one of my very favorites! I used 6″ squares of each of the prints in the Far Far Away line – mainly because they all look so great together and I couldn’t bear to separate them! I decided to just do a minimal amount of quilting, to make sure it remained as soft as possible – I went for diagonal lines through the squares, but changed it up just a bit by quilting 1/4″ on either side of the diagonal for one direction, and then just the one diagonal line through the other direction. If that description doesn’t make any sense, you can better see below what I’m talking about! I was too impatient to wait for the greens, but realized that I already had a perfect one in my stash – this one is a green from the Net of Jewels line. It really goes perfectly with the greens used in the FFA prints! I used a couple strips of it on the back to outline the strip of scraps I pieced together and then also used it for the binding. This entry was posted in [search] Charm Quilts, 2009 Finished Quilts, Finished Quilts, Household Sewing - bags, napkins, pillows, Posts about Quilts, Quilts and tagged charm square, Far Far Away, handmade, Heather Ross, princess and the pea, quilt, quilting. Bookmark the permalink. 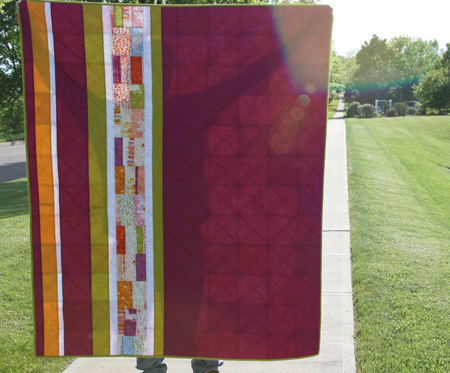 64 Responses to I do love this quilt! It’s stunning Ashley! I love the extra line in the quilting detail (it adds that “something special”). What fun!! Wow. That is beautiful. Just had to say that before moving on to your giveaway!! Beyond fantastic! I would have a hard time sharing it too! I particularly like the back of this one. What fabulous colors! And I also like the small pieces of FFA creating their own strip. Can’t wait to touch! It’s absolutely lovely! May I ask, did you have any difficulty attatching the binding to the double gauze? Beautiful! Just got some more FFA to add to my stash. Kathy is so wonderful – so helpful and I love all the solids she has – just got a big stack from her! This is so pretty. I love it. I need to make one of these with my FFA FQ set. im agree with you… is amazing!!!!!!!!!! 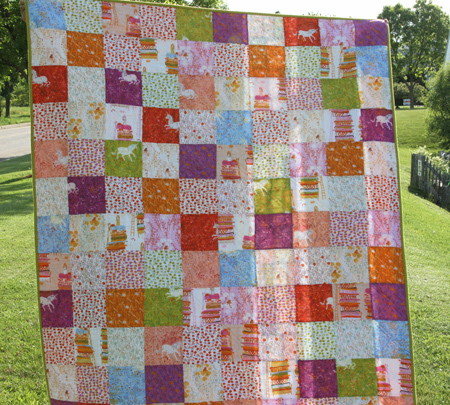 Ok..I think this is the 3rd comment I have made about this quilt…I LOVE it too!!! Did you buy the squares pre-cut? I would love to find them precut if so!! Beautiful, but I NEED to know: how come it’s crinkly? I’ve read about people not washing fabric, then stippling and than washing for the crinkly effect – how did you get that without lots of quilting? And I think what works really well for this quilt is that the horses are white on solid darker colours – that puts the light into every square – a true beauty! First I have to say that I admire your quilts, for me as a beginner it is sooo motivating to see such ” art d’oeuvre” as we say in french. Now may I ask a question: What kind of batting are you using? Thank you for some suggestions on this. I love the back! Very inspired. How much fabric did you use? I have some fat quarters of FFA coming. 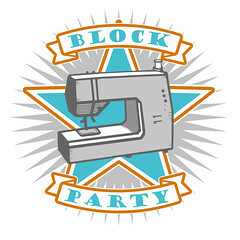 MichelleB – I had a fat quarter of each of the prints – I cut 6″ blocks and used 6 of each print (I think!). Remaining scraps were used on the back! I love it! Your quilts always inspire me, as a beginner it’s nice to see others doing modern lovely quilts. Those fabrics are so sweet, I really like them. Your quilt looks beautiful. I liked the way you quilted it too. I have a question. 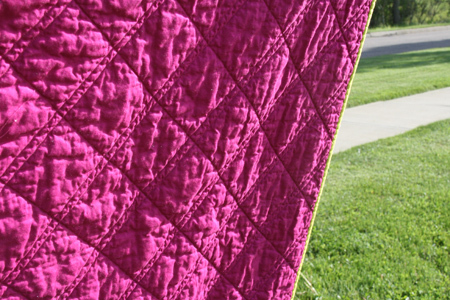 How do you baste your quilts? Do you use the basting spray, or pins? Iâ€™m curious. 🙂 I am just starting to quilt my quilts now, and like to know how otherâ€™s are doing theirs. Heather – I use spray adhesive – my favorite is the 505 spray. OK spill, which color ways did you choose? all of them? really love that back, I mean seriously, I may have to use the gorgeous kona cotton for my back as well. Beautiful work. That really is gorgeous. I love the front, but I am so impressed with the color combination in the back. I agree Kathy is the best, she is so helpful. I am not an olive green fan, but I find it goes so well with so much. You’ve just proved that again. Looks wonderful. What a lovely quilt. Bright, fresh and the fabrics look so great together. That purple is gorgeous, so rich. That is just stunning. Looove the Far Far Away fabric. I am SO in awe of your quilting skills. I haven’t gone through all your archives yet, but do you have a post (or would you consider writing one) about how you learned to quilt? Do you sell your creations? Is this your full-time job? Because I am just speachless at the speed with which you crank out these masterpieces! I think this is my favorite quilt ever! It looks so snuggly! Well done, it’s gorgeous. Oh I do love it too!! So great! i really like the way you quilted this one. I try to stick to simple quilting because i’m new at it. 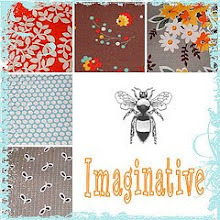 I’ve been trying to decide how to quilt one that i’m making for my son…. i think this is the winner! thanks for the great idea! What exactly makes it so soft? Is it a special fabric? I just LOVE you quilt – it is exactly my style – but executed soooooo much better!! Hi Kim – The Far Far Away fabric is a double gauze fabric – two layers of a gauze fabric sewn together with tiny stitches. The gauze fabric is quite soft to the touch, and because there are two layers, it feels a bit more plush than other fabrics. This quilt is absolutely gorgeous! really wonderful! I love all the colors. All I can say is WOW! This one is my favorite of yours so far, but I must say that was a hard choice to make!!! I love how when you look at this whole quilt from a distance it looks like the unicorns are prancing across it. You are SO inspiring! Now all I want to do is quilt, which I have never done before. I am so glad I discovered your blog. I’ts beautiful! I love the quilting you did on it, simple but very effective! Sometimes simple squares are all you need. Really Ashley – how do you do it all? very nice. i think simplicity makes for some of the greatest quilts. It’s just lovely! I love the way you quilted it. i L-O-V-E this quilt! something about the simplicity of “just squares” gets me every. single. time. i love how you quilted it, too. nice job, ashley! I’m seriously amazed by you! AMAZED! I made my first quilt for my fiance as a gift for finishing the Naval Academy’s summer training before his first academic year there. I didn’t technically quilt it. I just hand sewed at the corners of the squares to hold it all together. I’m making a t-shirt quilt now out of our high school t-shirts and I want to machine quilt it. I’m wondering if you have some advice on what color thread to use. Ive noticed you too use white with your bright bold colors and your choice of color for the quilting thread seems to work wonderfully with ever color on your quilt. It never seems to look distracting. What did you use for this quilt? What do you normally use? White? My quilt has a lot of white space, but there are navy blue, royal blue, gray, and gold t-shirt squares. I’m worried the white may be distracting on the blue squares… but anything besides white on the white would look silly. Any advice? Hi Bethany! Thanks so much! As far as thread color – I’m into the neutrals – for the most part I use an off white thread – it tends to blend in with almost everything. I also like a light gray as a neutral… also blends nicely. I think either would work well for the quilt you’re describing! Hope that helps! Love the quilt and love the way you quilted it! What size is it? LOVE this quilt. so. absolutely. much. In fact, loved it so much, I might try to make a similar one. You know, I’d said no more fabric for a while, and when I saw this, I knew I had to go out and get some FFA fabric. Eeeek. MUST get sewing as soon as we are settled into our new place. You are so talented! I’m always surprised at the softness of the Heather Ross fabric compared to other quilting fabrics. Your quilt is absolutely gorgeous and nice work on the colours on the back – I especially like the green! 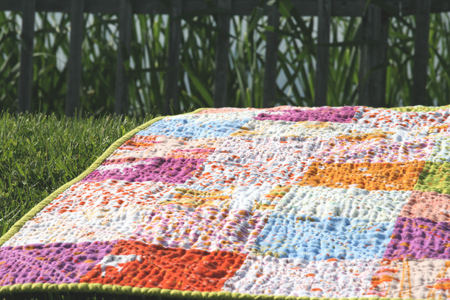 I’ve just popped in to say how super your quilt is after seeing it featured in the Pink Chalk newsletter. Oh dear now I have yet another blog to read. Hi Kim. Like all the rest, I am amazed at how beautiful your FFA quilt is. I loved il so much that I bought the Fat Quarters Set from Kathy. I just had to have it, especially after I read that Heather won’t be doing any more designing for the outside world until her contract is up. The colors speak to me (orange being my favorite, but with green moving up to second place), and once I saw your quilt, I was hooked. Was your placement of the blocks random? or did you have a method to your madness?? 8-). I have never really quilted before, but I’m going for it! Pray for me and the fabric….lol. do you pre-wash your fabrics before you start your quilts? and, do you know how much of the purple solid you needed for this one?